On July 29, 2010, we hosted our second #LawJobChat. Our host, Lisa Solomon, has thrived as a freelance legal research and writing attorney and coaches/consults with others to do the same. She shares some of her experience and tips about freelancing as an attorney. The chat was such a success, Lisa has agreed to host another #LawJobChat follow-up session soon! 1. Lisa Solomon (@lisasolomon) -Legal research & writing attorney; Coach/Consultant for other legal research and writing attorneys; Entrepreneur, specializing in fun gifts for legal professionals. 1:13 am hdifranco: #lawjobchat Do hiring attys want lots of legal exp for freelancers? I practiced 1 yr., then 5 yrs. w/Westlaw. I worry no one would hire me. 1:14 am hdifranco: #lawjobchat I <3 LRW, too! Took every class my law school offered. Friends thought I was crazy. 1:20 am hdifranco: #lawjobchat Thank you! What’s the best way to get started? Was thinking of direct outreach to some area solos and smaller firms. 2:09 am aellislegal: @Jon_Lewis #LawJobChat is the last Thursday of each month at 9pm EDT – join us next month! 2:11 am aellislegal: Did u follow #LawJobChat? @lisasolomon shared tips RT @bridgetzig @aellislegal I could really use freelance work asap. Any tips? 2:12 am aellislegal: cont. can search #LawJobChat in Twitter search bar RT @bridgetzig @aellislegal I could really use freelance work asap. Any tips? I know this is a little last minute but I received this e-mail from Edward Neiger, a colleague of mine, and it looks like a great networking event, especially for bankruptcy/restructuring attorneys in the NYC area. I was given permission to pass on the details but you can also check out the event flyer (PDF). [M]ingle with top restructuring personalities at the Future Leaders Networking Reception of the New York Institute of Credit. The reception will take place on November 10 at 6:30 at the classic Arno Ristorante (141 West 38th Street). Current industry leaders such as Bankruptcy Judges and top attorneys and bankers will meet with small groups of young professionals (i.e., you and me) at the reception. Industry leaders will rotate tables about every 15 minutes, so that by the end of the evening you will have personally interacted and become acquainted with many of the leading figures of the restructuring industry. A cocktail reception for young professionals will follow, so that you can get to know other future leaders in a more casual atmosphere. You can also see Edward Neiger‘s latest PBS segment on the Nightly Business Report. Select the 11/02/09 program and pay serious attention around the 13:08 minute-mark. Recently, I went to a networking event in Philadelphia. Alone. Going to a networking event alone wasn’t the worst thing I could do. I’m pretty outgoing and can strike up a conversation with almost anyone. However, as I searched for a parking spot, I realized that I had made a mistake in preparing for the event. In fact, I hadn’t prepared at all. There, in my car, I realized that I lacked any sort of plan for the evening. Networking events are awkward for even the most extroverted of us. Here you are, together with people who you have never met and/or hardly know, in a prearranged closed space (a bar, a conference room, a banquet hall), with finger food in hand, balancing a drink in the other hand, shouting over a roomful of other conversations, pretending to hear what your conversation partner is saying, and, at the same time, covering your mouth in fear of bad breath or misplaced food particles. Usually, to make networking events more fun (bearable? ), I recommend venturing out with other people. This way, at least, you can casually mingle with others but you have a buddy to pull you away from a long-talker, to brag to once you meet your next biggest account, and/or to tell you if you have something in your teeth. At first glance, it may seem illogical to advise you to bring a friend to a networking event with you, but I’m not advising you to stick with your buddy all night. Instead, make a game of it. Compete to see who can gather the most (worthwhile) business cards or make the most impressive (meaningful) connections. The loser owes the winner a round of drinks or dinner at the posh restaurant that you both have been meaning to try. While you’re waiting for drinks, the two of you can share facts about who you met that night and write the vital, mind-jogging information about your new contacts on the backs of their business cards. The next day at work, you can continue this competition when you see who sends the first “Done!” e-mail (meaning “I’ve followed up and e-mailed all my new contacts. Have you?”). When you go to a networking event alone, you need more self-motivation to accomplish all of these things – meet people, follow up with people, not just stock up on finger food and head to a quiet corner where you spend the rest of the night texting your mom, wife/husband, or friend from high school. This is why creating a plan is essential before you head out to a networking event, especially if you are showing up alone. When I say, create a plan, this does not have to be a time-consuming task. I did it while I searched for a parking space. (I didn’t realize there was a free lot next door.) I drove around the side streets of Fishtown and answered these questions. To myself. Out loud. Q: Why did I decide to go to this event? Q: How many people would I like to meet at this event? More specifically, how many business cards did I want to have in my pocket as I left? For this question, I let myself off easy. Because the event was (sold out!) at a small, crowded bar, I decided that I wanted to make one meaningful connection that night. Who (ideally) would you like to meet? Who would you be happy to meet? 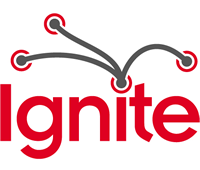 Ideally, I would love to introduce myself to the planners behind Ignite Philly… but I realized that this may be a little unrealistic. The event required a lot of hands-on coordination throughout the night – setting up audio/visual presentations for each speaker, watching the time, etc. I decided that the coordinators probably had so much adrenaline pumping that any brief introduction would be almost meaningless the next day. My second ideal was to meet one of the presenters. Each of the people presenting were involved with some type of cool, inspiring innovation. Q: What would I tell the person who I met? Of course, this answer would depend on who I met at the event. However, I always include this question as part of my plan because it gets me to say my “elevator pitch” out loud. An elevator pitch is a short synopsis on what you do, who you are, what is your purpose. The premise of the elevator pitch will be the same throughout one stage of your career. Nevertheless, you probably will want to tweak it in light of your audience. This should make enough sense. If I am in front of computer programmers, web designers, and web developers, they may not need to know that I practiced law or recruited attorneys. I may stick with, “Earlier this year, I quit my job to follow my dream. I created two websites. One, http://nonpretentious.com, is a pop culture blog that has contributors from all over the world, ranging from college students to retired law professors. The other, http://recruiteresq.com, focuses on applying technology to the practice of law. “ Simple. Easy. If I’m talking to a true webmaster or web developer, I may add, “nonpretentious.com is a self-hosted wordpress blog and recruiteresq.com is created using Joomla.” (Eds. note: RecruiterEsq has since been moved over to WordPress.) This way I can segue into asking for tips or sharing sucess/horror stories. Finding a parking spot was time-consuming and frustrating. I ended up being late to the event. (Sidenote: in my opinion, this is not an excuse to bail on the entire event. If I took a survey of all readers who have *almost* attended a networking event but who have turned around because of “being late” – my wager would be that it’s 100% of you. Instead of agonizing how you’re late, think about how you can make a professional entrance. Chances are, if you arrive late, you’ll meet-up with someone else in the lobby or elevator.) Nevertheless, I walked into the event a little more confident because I had a game plan. And, I walked away with the contact information of one of my ideal connections. For the next networking event you attend, what will be your game plan?